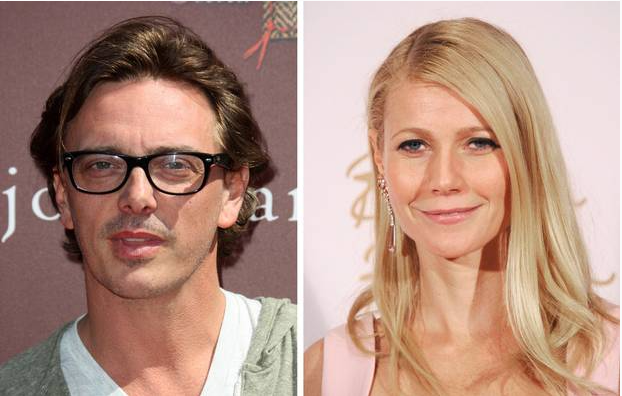 Actor Donovan Leitch opens up about being photographed kissing Gwyneth Paltrow at Dodgers Stadium before her divorce announcement. THE man pictured sharing a kiss with Gwyneth Paltrow just months before her split from Chris Martin has broken his silence. Her ex-boyfriend, Donovan Leitch, has spoken out after it was claimed the embrace could have spelled the end of the A-listers marriage. They were caught on camera sharing a warm embrace at a baseball game while the Coldplay rocker was nowhere to be seen. Gwyneth, 41, previously dismissed the photos taken in September last year, which show them kissing, hugging and laughing during a day out together at a LA Dodgers game. At the time Donovan was still married to Scottish supermodel Kirsty Hume. A spokesperson for the actor later confirmed the couple were going through a separation. The pair had dated before the Shallow Hal actress started a relationship with Brad Pitt in the 1990s. Speaking for the first time since Gwyneth and Chris ended their marriage which lasted for more than a decade, Leitch insists it was totally innocent. "I was just saying goodbye to her. It was purely innocent," he told the Mail on Sunday. "We were sitting in the owner’s box in front of 30,000 people with her two children right next to us. That isn’t exactly the setting for a secret liaison." He explained: "But the telephoto picture turned it into more. But it’s her. Her life is constantly under surveillance. Gwyneth and I have always been close. "I consider her to be one of my closest friends. We have tons of great friends in common." Leitch himself was going through a divorce when he was pictured kissing, hugging and laughing with Gwyneth during a day out together at a LA Dodgers game last year. He said he had separated "quietly" from his wife Kirsty, who he shares a ten-year-old daughter, three years ago. Speaking about Gwyneth's relationship with Chris, he said: "I’ve only witnessed a couple incredibly in love with one another. "That’s my personal experience. They’re great parents. Their relationship looks enviable. She definitely has a great life. She has a great family, kids and career."